The Library is committed to providing an inclusive environment for our students and staff. Supplementary support is also provided for customers who experience a disability and those with specific learning difficulties (for example, dyslexia). 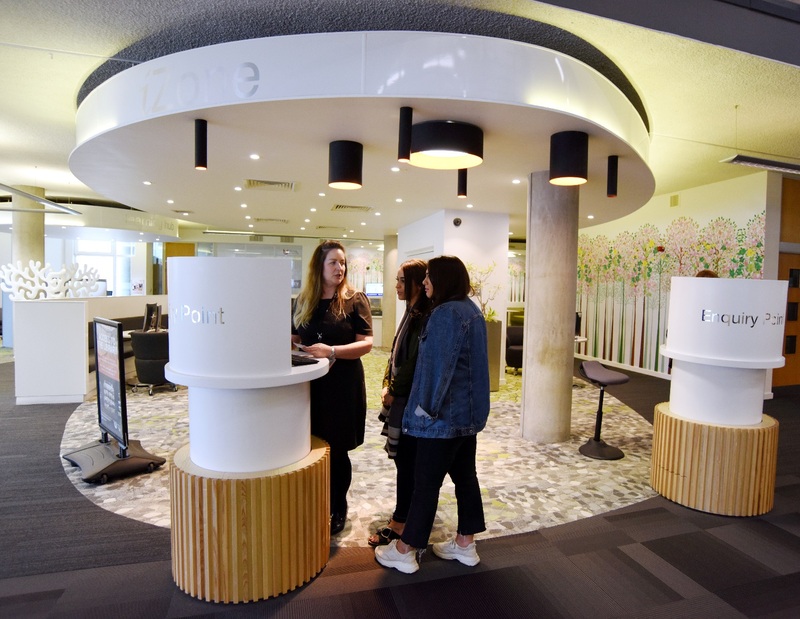 If you need any help and assistance when using the Library, please see Library staff at the iZone on the Ground Floor at Middlesbrough campus or the Library desk on Floor 1 at Darlington campus. In the event of a fire, you will hear a loud continuous alarm and should leave the building immediately via the nearest fire exit. At Middlesbrough campus, if you have difficulty in using the stairs, please seek safe refuge in the designated fire stairwells on the east and west sides of the building. There is an emergency phone link that will link you through to the University's Security Control Centre. In the event of a fire, they will alert the emergency services. There are designated parking spaces in all campus car parks at both campuses. Contact the Campus Services (M2.08) for more information. Accessible toilets are available on all floors at both Middlesbrough and Darlington campus. The library has trained first aiders. All university caretakers and Security Officers are also trained first aiders. Accidents should be reported to the library iZone or Security Control who will call upon a first aider if appropriate. At Darlington campus, please report any accidents to the reception desk on the ground floor. Access to Middlesbrough campus Library is at ground level via a revolving door. There is also a disabled access entrance, please ask staff for details on how to have access enabled for this door. You will need your TUSC to access the Library 24/7. There are two lifts which provide access to all study floors. Darlington campus building has ground floor access, the Library is located on floor 1 and can be accessed via a lift.